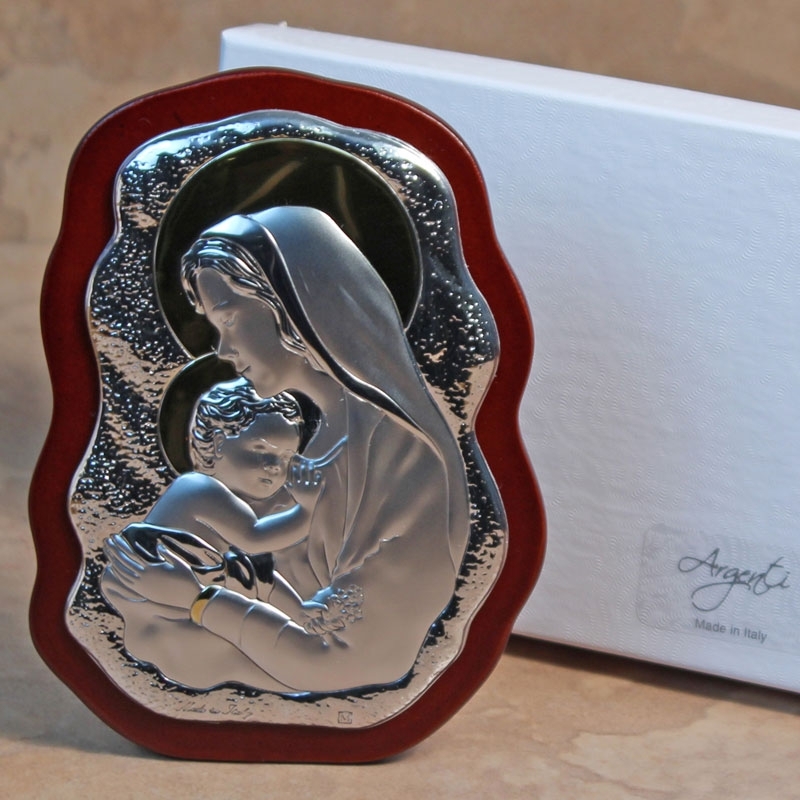 Celebrate your blessed event with the beauty and style of this matte and shiny silver/gold combination scalloped Madonna and Child. Made in Italy, this three dimensional rectangular icon is placed on a matching scalloped wood frame for a stunning and clean look. Perfect to commemorate any special religious occasion such as a baptism, communion, confirmation, or wedding. Packaged in a white gift box completes the look of this upscale favor. From the Lorren Home Collection. Measures 3.5" x 5", silver measures 3" x 4.75".